Television is a form of media which has been evolving since it was first introduced to the market more than a hundred years ago. Before modern times, the TV used to be black and white and was often encased in a wooden cabinet with sliding doors. After that came the smaller version of the black and white TV until it became a colored TV, but all of these use the traditional picture tube which makes the TV appear bulky. Now, TV has evolved into something far better. They now have a wide selection from flat screen TV, a wall mount TV and an LCD TV. 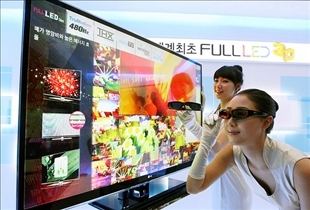 But there are two more popular types of TV today, and these are the LED TV and the 3D TV. Read below and thoroughly compare these two latest technologies in television. A LED TVs in 2010 are currently manufactured by Vizio, ProScan, LG Electronics, Philips, Toshiba, Panasonic and Samsung Electronics. These TVs are classified as LCD TVs but unlike the normal LCD TV which uses fluorescent lights, the LED TV makes use of LED backlighting. Basically, there are two types of LED backlighting namely the Dynamic RGB LED and the White Edge-LED. The Dynamic RGB LED is the LED which is placed behind the panel. The White Edge-LED on the other hand is placed surrounding the skin’s rim. The screen of a LED TV makes use of a panel with special diffusion which is in turn responsible for evenly spreading out light from behind the TV screen. A 3D TV on the other hand is a unit of television which was inspired by the style of 3D presentations like 2D and 3D displays, 2D plus depth, a multi-view capture, and a stereoscopic capture. The 3D display is defined as the special device used for viewing which projects all our favorite shows on TV appears realistic. As early as 1844, 3D or 3 dimensional imaging first became popular. After the success of 3D glasses they put 3D to more good uses, especially through movies. LED TV only came to the market at present due to the unending study of people who pursued innovation to make it become more useful and entertaining. Instead of using the old LCD-CCFL or the Colds Cathode Fluorescent Lamps for LCD TVs, the most widely used nowadays is the LED. Aside from the screen of the television being the most recognized difference, there are more functions in a LED TV which can benefit you compared to an LCD TV. These benefits include the lesser energy consumption and the like. 3D TV on the other hand has four technologies which functions to produce a more 3D effect. These are the Anaglyphic, Autostereoscopic, Polarization and the Alternate Frame Sequencing. LED TVs are the latest technology in television these days. 3D TV is a new version of viewing experience for the family. LED TV is a type of LCD TV which saves more energy than typical TVs. The LED TV is better because it can be used everyday. Excellent read. I was debating whether to buy 3D TV or wait for the technology to become more mature. I've decided to go with 3D TV, I bought Samsung UN55c8000. How does you like it? We are debating the new panasonic 3d plasma tv vs samsung 3d LED. Guys please help me. I need to know if an LED HD TV will allow me to view 3D movies using the 3D glasses or is it a must that i get a 3D LED TV to enjoy that benefit. Yes you must have a "3D ready" tv. It doesn't have to be a LED just as long as it is 3D ready. Now after you get a 3D ready tv, you need to buy a DVD player that plays 3D dvd's. After that you need to buy the 3D glasses that go with your tv. Not all 3d glasses are usable on all 3D TV's. If you like 3D I highly suggest going to http://samsungd9500 and checking out the ones they have listed there. They are all 3D ready. Hope that helped. Ok. I'm surprised they only showed Samsung LED Vids after an article like this. Samsung's TVs have a lot of bleeding issues which means when you watch in a dark room, you will notice a lot of light leaking from the edges of the TV. The glasses for these LED active shutter systems are also over $100 a pop. They also don't mention that you have to move your head a significant amount so the motion sensors in the glasses don't turn off the glasses which can be very annoying(load up time for glasses take about 30 seconds). Passive 3D LED TVs are way better for this fact alone. 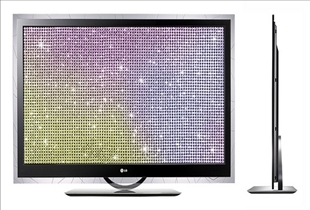 I have an LG LW9500 which is one of the top of the line TVs at the moment. They were released in the u.s. not to long ago. Sammy's new TV the C9000 is very nice in looks, but thats it. Ok I agree.I have one doubt more.I can watch 3d tv without 3d glasses.somebody told me without glasses no mre clarrity and it work negative photose. 3D LED or LED TV? which is convenient taking into considarations all the factors? It needs to be explaned elaborately.Each company is trying to prove itself better therefore,we need proper rating of all the models with specifications.This task is needed to be done impartially by some specialists in this field. I'm blind on one eye so can't enjoy 3D. I was told by a TV sales person that by purchasing an LED TV with 3D option (in spite of my issue) will provide a more crisp and colorful picture than w/o the 3d feature. Is that true?